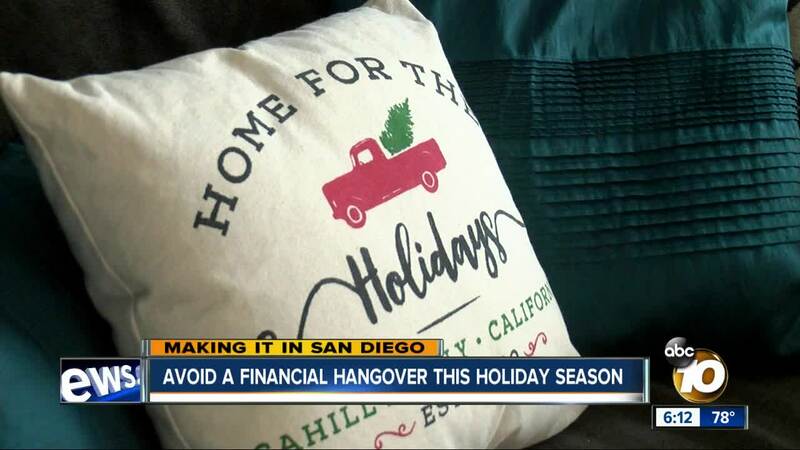 SAN DIEGO (KGTV) -- There's a less joyful side to the holiday season: going into debt. According to a Magnify Money study of last year's holiday spending, Americans racked up an average of $1,054 of debt, a 5 percent increase over last year. The study also found more shoppers put that debt on high-interest credit cards. Only making minimum payments on that $1,050 of holiday debt will take 63 months to pay off, and could cost around $500 in interest fees. Vogt says the number one thing consumers should do before holiday shopping is have a plan and create a budget, write a list of who you'll be shopping for this season. If you are using a credit card, have a plan to pay it off on time. Vogt also warns of being mindful on Black Friday. If you need more incentive to spend wisely, Magnify Money has a credit card payoff calculator to help you determine how much interest you will pay on your purchases.